The following individuals are listed with the Jacob Wetterling Resource Center. However, this is not a comprehensive list of missing people. If you are interested in having your missing loved one listed on our website, please email [email protected] or call (651) 714-4673. Feel free to print and utilize the posters for public viewing, but please remove the posters if notified of a recovery. 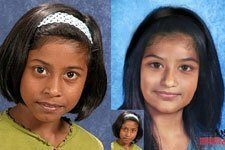 If you have information about a missing child, please contact the National Center for Missing and Exploited Children at (800) THE-LOST. If you have any information, please contact the Columbia Heights Police Department at (763) 427-1212. Missing 6/1/2018 from Mankato, Minn. If you have any information please call the Mankato DPS at (507) 387-8780. Missing 12/3/2015 from Mounds View, Minn. If you have any information, please contact the Mounds View Police at (763) 717-4070. 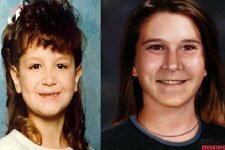 Missing 9/18/84 from Eagle Butte, S.D. If you have any information please call the Fall River County Sheriff's Office at (800) 843-5678. Missing 9/14/2016 from Mankato, Minn. If you have any information, please contact the Mankato Police Department at (507) 387-5601. Missing 12/7/15 from Brookston, Minn. If you have any information please call the St. Louis County Sheriff at (218) 878-8040. 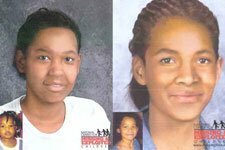 Missing 4/26/88 from Manassas, Va. If you have any information please contact Det. Cindy Van Noppen, Manassas Police Department at (703) 257-8049, [email protected]. If you have any information please call the Chaska Police at (952) 361-1231. Missing 4/26/13 from Pittsfield, Wis. If you have any information please contact the Brown County Sheriff's Department at (920) 448-4236. 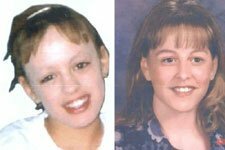 Missing 6/2/04 from Grand Casino in Hinckley, Minn. If you have any information, please contact the St. Cloud Police at (320) 251-1200. Missing 9/22/12 from Onalaska, Wis. If you have any information please contact the La Crosse County Sheriff's Department at (608) 785-5942. Missing 6/14/03 from Chisholm, Minn. If you have any information, please contact the Chisholm Police at (651) 793-7000. Missing 8/14/13 from Pueblo, Colo. If you have any information please contact the Pueblo County Sheriff's Department at (719) 583-6125. 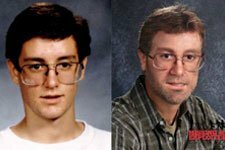 Missing 11/9/02 from Collegeville, Minn. If you have any information, please contact the Stearns County Sheriff at (320) 251-4240. 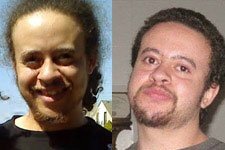 Missing 1/5/07 from Minneapolis, Minn. If you have any information please contact the Minneapolis Police Department at (612) 348-2345. Missing 5/19/00 from Las Vegas, Nev. If you have any information, please contact the Minneapolis Police at (612) 692-TIPS. 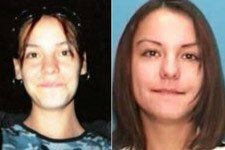 Missing 7/11/05 from Owatonna, Minn. If you have any information please contact the Minneapolis Police Department at (612) 673-5373. Missing 8/12/98 from St. Cloud, Minn. If you have any information, please contact the St. Paul Police at (651) 291-1111. If you have any information, please contact Crime Stoppers of North Central Iowa at (800) 383-0088. 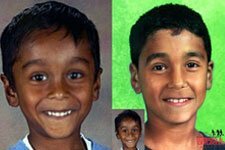 Missing 7/15/99 from St. Louis, Mo. 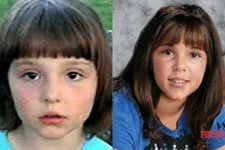 If you have any information please call the National Center for Missing & Exploited Children at (800) 843-5678. 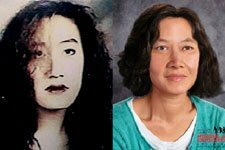 Missing 1/15/93 from St. Paul, Minn. If you have any information, please call St. Paul Police at (651) 291-1111. Missing 12/18/11 from St. Louis, Mo. If you have any information please call the St. Louis Police Department at (314) 889-2341. 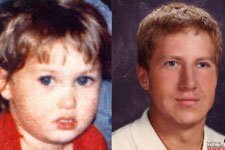 Missing 6/1/92 from Inver Grove Heights, Minn. If you have any information, please call (800) THE-LOST. Missing 7/24/09 from Staples, Minn. If you have any information please call the Cass County Sheriff's Department at (800) 450-2677. 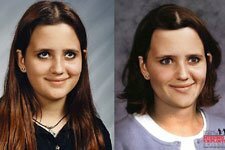 Missing 4/20/90 from Eagan, Minn. If you have any information, please call Eagan Police at (651) 675-5700. Missing 5/14/08 from Marshall, Minn. If you have any information please call the Lyon County Sheriff at (507) 694-1664. 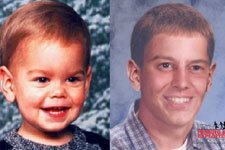 Missing 8/5/89 from Maple Grove, Minn. If you have any information, please call the Maple Grove Police at (763) 494-6100. Missing 2/9/07 from Chaska, Minn. 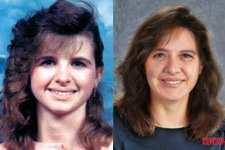 Missing 6/7/89 from Pine City, Minn. If you have any information, please call the Pine County Sheriff at (800) 450-3930. 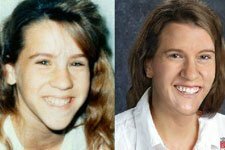 Missing 1/19/88 from Lake Elmo, Minn. If you have any information, please call the Washington County Sheriff at (651) 439-9381. Missing 9/30/82 from Sugarbush, Minn. If you have any information, please call the Beltrami County Sheriff at (218) 751-9111.